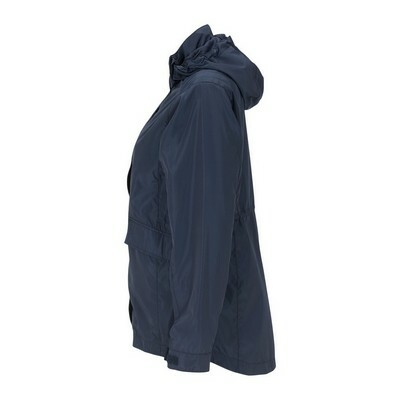 This promotional Women's Field Jacket features a hidden elasticized draw cord at the waist. 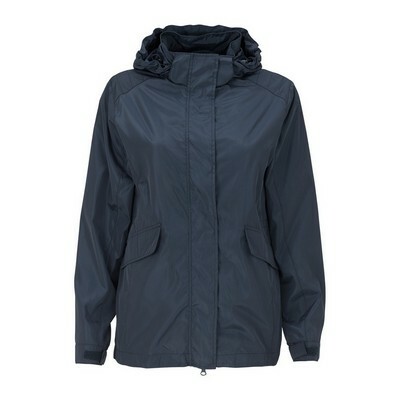 Make a favorable impression with the Women's Field Jacket. It is the ultimate in style, comfort, and usefulness. 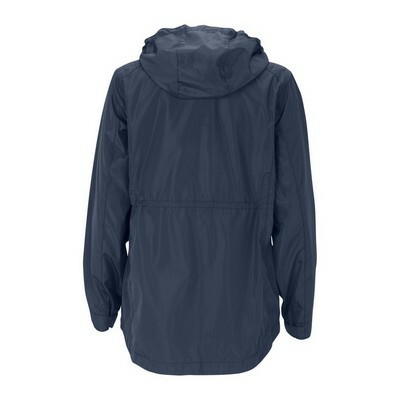 Available in midnight blue, with several features that make it weather resistant and seamless to wear, this jacket has been designed keeping in minds the needs of the modern woman without compromising on sophistication. The hidden elasticized draw cord at the waist with cord locks adds to the elegance in design. Imprint you company’s logo on the Women’s Field Jacket using decoration techniques including embroidery, laser appliqué, sequin embroidery or tech patch to effectively promote your brand among women who love the outdoors. Promotion Pros is one of the best places to find custom embroidered apparel online, so stop your search today. Our embroidered and screen printed logos look fantastic and wear even better. Place an order today and discover for yourself the magic of your entire group wearing beautiful, quality promotional gear custom-made just for you!